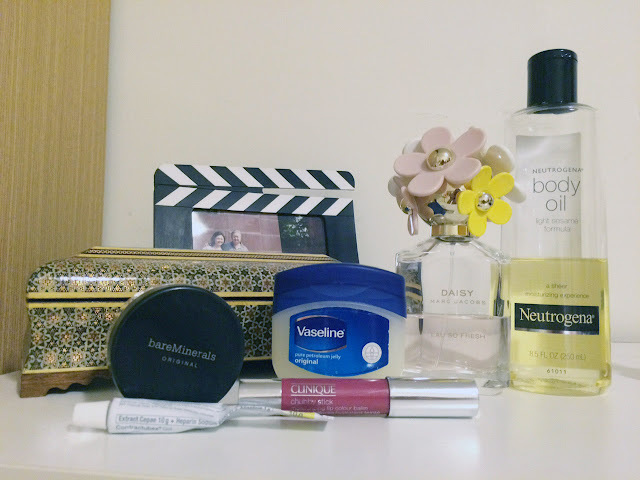 So this is my attempt at beauty blogging. 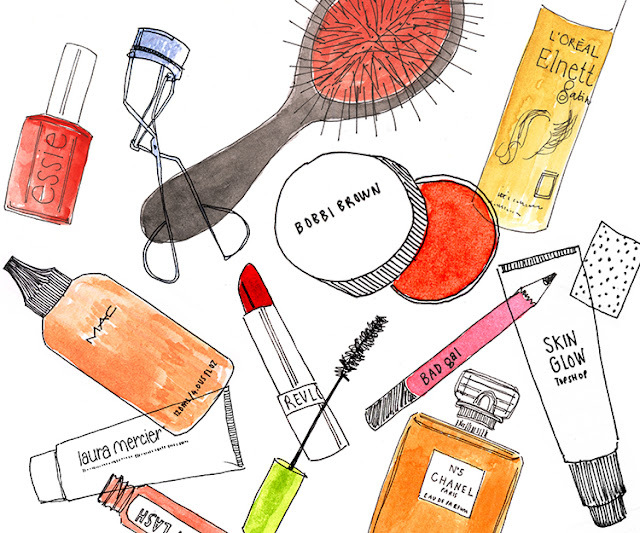 Since high school, I've been reading a lot of glossies to see the editors' recommendations on the newest beauty finds. I'm not the type who would wear make up all day at work, except if we have big events. But a girl's skincare and beauty routine fascinates me. It's like taking a peek at a girl's life- what she puts on her face, which product she swears by, her bathroom essentials and so on. This is probably the reason why I fell in love with blogger Grace Velasco. She used to write glossy features of top models, celebrities and famous personalities, sharing with us their beauty secrets and top picks, but I don't know why she stopped writing glossies. - I love this Aveeno Purifying Body Wash I got from Costco. It has seaweed and oatmeal, leaves a clean scent and lathers very well. It comes in a pack of 3 for use up to 6 months. 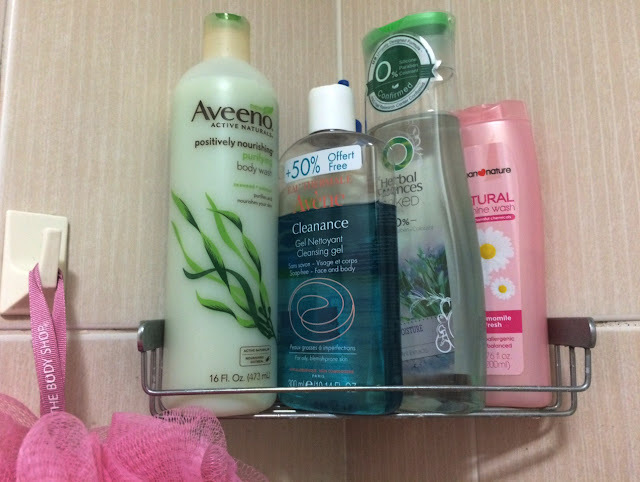 - For my facial wash, I alternate Cetaphil Gentle Skin Cleanser (there's a hidden bottle somewhere in there) and Avene Cleanance Gel Soap-free Cleanser. Both are gentle cleansers prescribed by my dermatologist in Taipei and in Manila. Avene controls oil and removes traces of powder. I wash with this during summer months, and Cetaphil on harsh winter days. - I use Herbal Essences Naked Shampoo because it has zero harmful chemicals (or so the bottle claims). It has no parabens and dyes and leaves hair feeling fresh all day. I don't normally use conditioner, but I leave on The Body Shop Rainforest Moisture Hair Butter at least once a week (no photo of the hairmask tub because I ran out of it). - I've been using Human Nature's Feminine Wash for more than 5 years now. It feels more gentle as compared to pHCare. The scent of the latter is just too strong. Although pHCare is readily available in the Pinoy stores here in Taipei, I still prefer Human Nature and would hoard several bottles whenever I'm home. These are my tools of the trade. Unlike men who live by soap and water, women need to devote more time to caring for their skin (which is unfair because even if it makes us feel good about ourselves, it also benefits them men). I try to keep these things to a minimum, because (1) applying them is too time-consuming (2) I have a very sensitive skin and do not like experimenting on products. So here are the things that I rely on. - I use either Neutrogena Pore Refining Toner or Neutrogena Skin Clearing Toner only on days that I put make up. I like the Skin Clearing one better because it is alcohol-free, but it's almost always out-of-stock. It is really nice and won't leave your skin feeling tight. 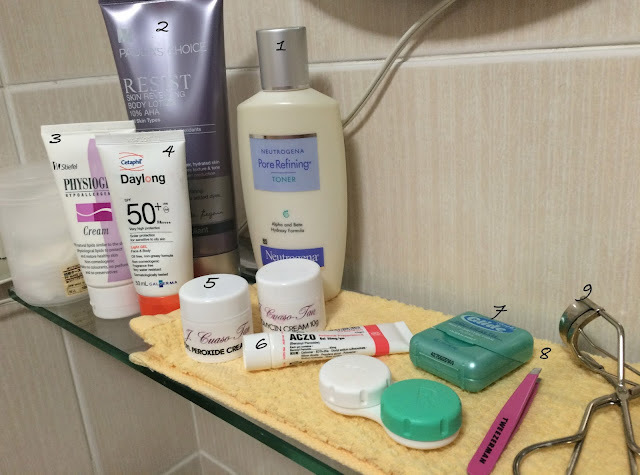 - Few months ago (around May), I started having huge acne on my forehead, chin, and cheeks. It was getting too depressing so I ran to the nearest dermatologist in Taipei Medical Hospital and had them injected, but the scars took so long to fade. At the time, I was using Paula's Choice Resist Skin Revealing Body Lotion for my back and had great results. I started applying it on my face, tried it on my spots and it worked wonders. The scars faded quickly because of the glycolic acid content. - Physiogel Cream is the only moisturizer I use for my face. It is hypoallergenic and non-comedogenic. I don't moisturize during summer months, but I dab a small amount under my eyes and on my elbows to moisturize them. I also massage it on my neck before going to bed. - I had a chemical peel done by my Dr. Cuaso when I went home in June. After the peel, she suggested I use Daylong Sunblock SPF 50 to protect my face. I told her I'm currently using Nivea sunblock but she said Nivea's too oily for me, and she thinks it is the one causing my forehead to breakout. Daylong is from the makers of Cetaphil. It has an oil-free gelfluid formula that is light and goes on matte. -The two white jars and the Aczo tube are prescription meds. They are a huge help whenever I have acne flare ups. And then there's my favorite dental floss Glide (it really glides! ), my Pink Perfection Slant Tweezer from Tweezerman (I got this from Beauty Bar in Rustans), and my Shu Uemura eyelash curler. I take these all with me whenever I travel. Lastly, after all that skincare routine, if I have an important meeting or an appointment, I would usually buff some bareMinerals Foundation (I build up the coverage depending on the event). I swear by this stuff and have not used any brand of foundation since 2011. It is not available here in Taiwan so I would ask my aunt or cousins to buy for me in the US. I would also smear some Vaseline jelly on my lips because they get too dry and blotchy, and fill it in with Clinique Chubby Stick in Super Strawberry (I don't own any lipstick, I tried Mac and Chanel but they ended up in my mom's vanity case). Marc Jacobs' Daisy Eau So Fresh is my favorite scent. I spritz it on after massaging a small amount of Neutrogena Body Oil. I love love love the light sesame scent of this combined with the fruity-floral scent of my perfume. That white tube there is Contractubex Gel which I apply to my scarred knee. Woah that was a lot. Sorry to keep you reading (and waiting). This blog is celebrating its 10th year this year. I dont know which date I started writing because I deleted a couple of silly entries before, but based on my Blogger profile I started blogging in 2005. I think I was in fourth year high school then, transitioning to college. This blog has become a personal diary, an online home, a relief to my homesickness and a big part of my life. I may have been afraid to write about my personal issues and problems, but I turn to this blog during times of joy and loneliness. And because you who are reading this now, are part of my online life, I wish to thank you for dropping by, for skimming, browsing, and reading through stories of life away from home, the joys of travel and other things mundane. To celebrate my 10 years online, I will be giving away two small gifts from the products I mentioned in my above entry. I will be choosing two lucky winners who will receive either one of the following: (a) Neutrogena Skin Clearing Toner (b) Shu Uemura Eyelash Curler. The gifts will be specially shipped from Taiwan to the Philippines, or anywhere in Asia. To enter the raffle, simply follow these steps on Rafflecopter. The contest will run from August 15 to 22. Winners will be announced on the next blog entry! Good luck! Two Sundays ago, my goddaughter Emi was carrying a basket of biscuits given to her by an auntie in church. 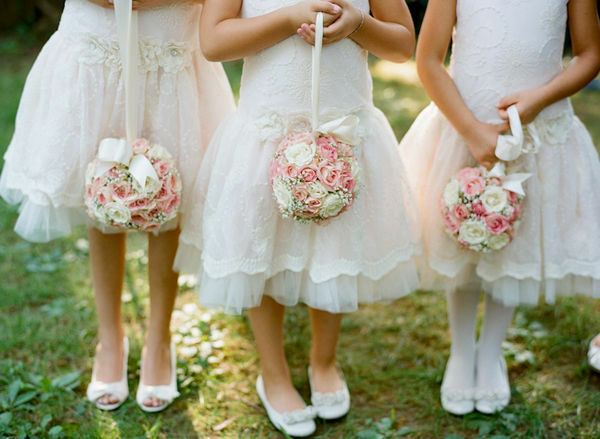 She was playing with it when her mom, Agnes, suddenly said the basket closely resembles those being carried by little flower girls during weddings. Unexpectedly, she turned to me and said "Ninang, you have 3 more years okay?" Ummmm, why 3 more years? I asked. In 3 years, Emi will be 6 years old, and Lisa (Emi's younger sister and my other goddaughter) will be turning 3. After that, Emi will be too old to be your flower girl- she explained, with concern in her voice. I felt the blood drain from my face. Then Auntie Belen and Auntie Maria started prodding. Help her find someone lah, they said in chorus. Woah, hang on. Stop. Give me a moment to breathe and digest what I just heard. When I was 18, I sort of had in mind that I'll be getting married when I turn 26. I had it beautifully planned- the dress, the church wedding, the reception- but not the groom. Goodness gracious, I'm turning 27 in 3 months and I'm nowhere near marriage. PAAAAANIC ATTAAAAACK!!! OK. I'm over-reacting. Take a deep breath. Calm down. Smile. Sometimes I do blame myself for being too... picky (for lack of better word). But then when I take a few steps back, I realize I am doing myself a favor by choosing the person I will get to spend the rest of my life with, and that it involves careful decision making- not just for the sake of having a boyfriend, or getting hitched. We're talking about "forever" not a day or two. We're talking about lifetime of togetherness, of sleeping side by side, of waking each day with the same person, sharing your toast, your cup of coffee, your toothpaste, your everything. At this point in time, when my Facebook feed clogs with pre-nup photos shot in Santorini or Fiji Island or wherever in the world, announcements of who got engaged with who, (and even worse) sonogram photos with captions ranging from "my jellybean" to "hello little one", I really feel like time's running out. Then I hear stories of cheating, of bad relationships and failed marriages. It's at this point that I realize that maybe, I'm doing just fine. I'll wait until the right person comes in God's time. I'm sure it will be beautiful. Even more beautiful than those same-day-edits with aerial shots and wedding photo slideshows on my feed (hahaha #peanutbitter). But seriously, I have learned to pray for him constantly, even for his life, for his career, for his family-- for whoever he is, I know he is worth praying and waiting for. Lisa and Emi, you will be ninang's flower girls someday. Ugh. I can't believe that basket of biscuits led me to write this entry. Above photo taken from Google Images.